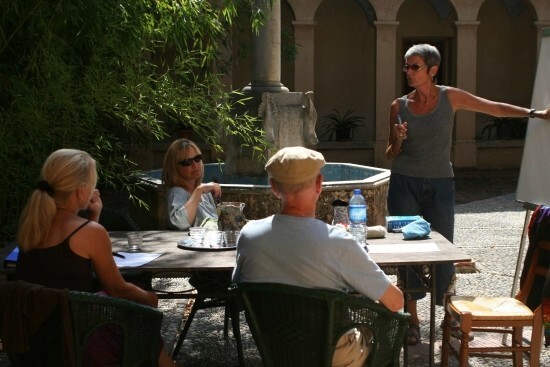 Immersion course for adults combine a learning experience with the charm, sunshine, food and wine of Provence. No matter the goal you set for yourself, whether you are preparing yourself for settling in France, improving your job skills, or learning for the sheer fun of it, the pleasure of learning is a fundamental part of the experience of acquiring a new language. 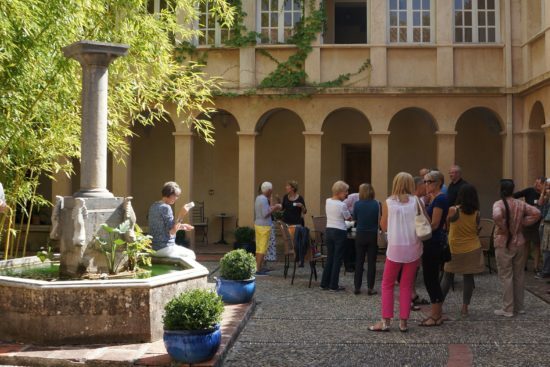 Adults from all over the world come to Provence to enjoy their stay in a beautiful 19th century former Cistercian monastery. The cloister and courtyard, the organic vegetable garden, the shaded terraces, the gorgeous swimming pool, the huge chimney in the income hall, all provide a welcome ambiance that makes you feel at home right from the start. 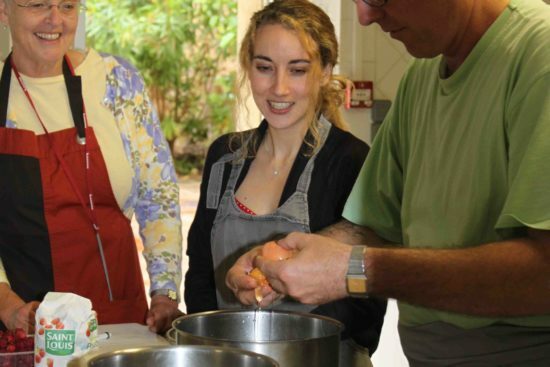 The quiet setting and exquisite Provencal cuisine make your language immersion course an unforgettable experience. Peter, a participant from the UK, described it as a “great learning opportunity, and a brilliantly effective method and team”. 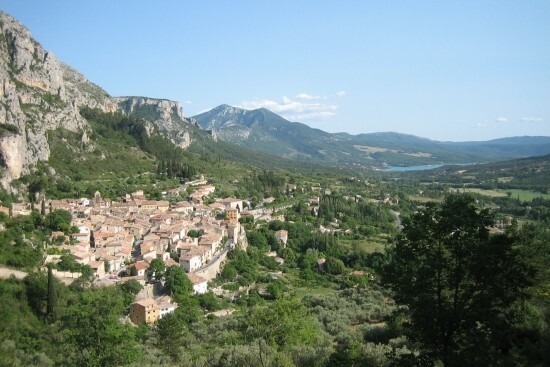 The school is located near the Gorges du Verdon and the Lac de Ste-Croix, one of the most stunning parts of Provence. In the afternoon, you can choose amongst the many activities accompanied by the teachers. 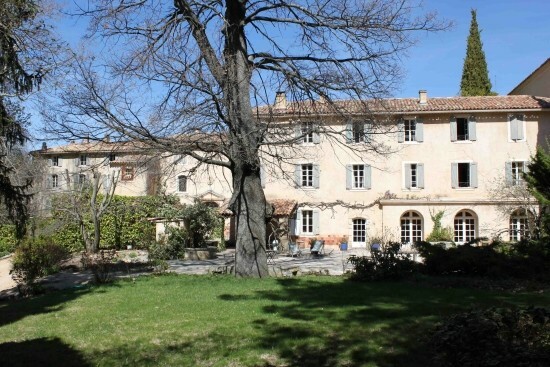 The options include canoeing, sailing, a visit to l’Occitane cosmetics factory, a perfume making workshop, a hike with a nature guide, presentations on truffles and local wines, hands-on cooking class, day or evening outings into the local towns, and a visit and fascinating talk chaperoned by a well-known author. Each activity is preceded by a preparation session that equips participants with vocabulary and background information to help them get the most out of the experience. The key parts of the concept have been tried and tested for more than 35 years. The intensive classes are delivered by a highly qualified and passionate team of teachers. Sessions are organised into four to six hours daily, in small teaching groups of three to six participants, grouped according to level. The entry ‘elementary’ level is available to participants who can already use simple phrases and understand the essential points of a conversation when spoken slowly. 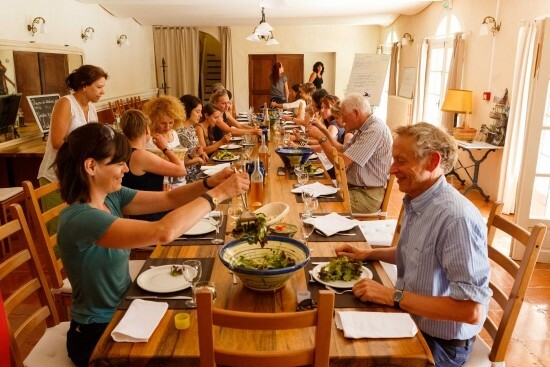 During your stay you will enjoy delicious Provençal meals with regional wines around the big dining table along with the teachers, to continue the conversations and laughter –all in French. There’s also the option of private courses, theme-weekends, and special programmes are available for expats, French language teachers, and interpreters. 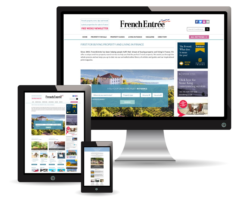 « French and cooking » for gastronomy lovers, to combine learning French and Provençal cuisine with a chef, in April, May and July. And also: « French and yoga » in April, June and September. The setting of the school is the ideal environment and this one week immersion will focus mind and body.